The Mercedes-Benz Carousel of Hope Ball, founded by Barbara and the late Marvin Davis will bring together Hollywood’s elite to raise funds benefitting clinical care and research at the Barbara Davis Center for Diabetes (BDC). The Center is the country’s leading care and research center for type 1 diabetes where more than 7,000 children and young adults from around the world receive specialized care. 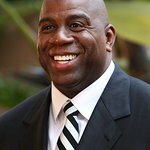 The evening will honor NBA legend-turned-esteemed businessman Earvin "Magic" Johnson with the prestigious Brass Ring Award for his various humanitarian efforts and will include performances by Jennifer Hudson, Kenny “Babyface” Edmonds, Josh Groban and more. Jay Leno will once again reprise his role as master of ceremonies, with David Foster and George Schlatter reprising their roles as music director and producer, respectively. Past honorees Quincy Jones and Clive Davis will act as Music Chairmen. For the sixth consecutive time, Mercedes-Benz is the presenting sponsor and a highlight of the evening will be the auctioning of a Mercedes-Benz 2015 S550 Coupe. Also expected to attend are Thora Birch, Jackie Collins, Kristin Davis, Carmen Electra, Jane Fonda, Kathy Griffin, George Hamilton, Harry Hamlin & Lisa Rinna, Anjelica Huston, Thomas Jane, Diane Keaton, Larry King, Jack Osbourne, Kevin Pollack, Mimi Rogers, Barbara Sinatra, Jaclyn Smith, Alan Thicke, Cheryl Tiegs, Raquel Welch, Vanna White and many more. Since its founding 37 years ago by Marvin and Barbara Davis, The Carousel of Hope has raised over $75 million on behalf of the Barbara Davis Center for Diabetes in Denver, Colo. Over 7,000 children and adults with type 1 diabetes from around the globe visit regularly for specialized care. The Center also cares for children with type 2 diabetes. Both forms of the disease are increasing at an epidemic rate. The Center’s research programs are world-acclaimed. For more information please visit www.childrensdiabetesfoundation.org or www.BarbaraDavisCenter.org.